Newland can supply a comprehensive range of Audio Visual Equipment and Conference Services to cover any budget, including Large Screen Back Drops, Data Projectors, PA Systems Lighting and Stage. 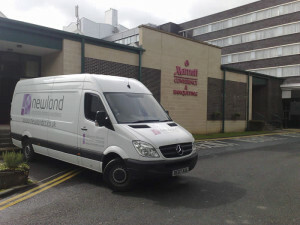 Newland also has an experienced Event Management Team to help anyone planning an event. The list opposite gives an insight into our core business. However our dynamic approach means that we always embrace a new opportunity or challenge, so if you don’t see what you’re looking for please do still give us a call or fill in the contact us page.